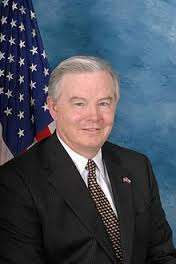 US Congressman Joe Barton, a GOP Representative from Arlington (part of the Dallas-Fort Worth area), is moving forward with plans to introduce a federal bill that would legalize and regulate online poker at the federal level. The bill stands as a polar opposite to the RAWA (Restore America’s Wire Act) measure introduced in the US House by Rep. Jason Chaffetz, which received its own initial — and controversial — House hearing a little over a week ago. The bill to be introduced by Barton represents a second go-round for the Texas legislator in attempting to achieve federally regulated status for online poker for Americans. Back in 2013, Barton introduced his Internet Poker Freedom Act of 2013, though that bill languished in a House committee and was not allowed to come up for a vote. Barton has been one of the House of Representatives’ most vocal poker proponents in recent years. Barton enjoys a warm relationship with the Poker Players Alliance and admits to taking several trips a year north from his Dallas-area home to play poker at major casinos several hours north in Oklahoma, the closest location where major poker-offering casinos are available. The Texas feature noted that the planned Barton bill is proposed in opposition to Chaffetz’s RAWA measure, and also touched on the big-money (Sheldon Adelson) forces backing RAWA’s current push in Congress. Arlington also happens to be home to a branch organization of the group that was allowed to stuff two or three executives into last week’s RAWA hearing in DC, Stop Predatory Gambling. The Texas outlet, Stop Predatory Gambling Texas, issued its obligatory doomsaying quote. “It’s hard to imagine anything more destructive than the prospect of turning every living room or dorm room in America into a poker table,” said Rodger Weems, chairman of the branch group. Problem-gambling protections of several forms. One of the curiosities is that Barton’s original (2013) bill included a five-year “bad actor” provision that was aimed more or less squarely at PokerStars. However, Stars has subsequently been sold to Canada-based Amaya. It will be interesting to see if the bad-actor topic is visited within the framework of Barton’s upcoming bill. Barton himself has remained active in a pro-poker sense, even if he didn’t submit a bill last year in the wake of his 2013 bill’s quick demise. It was Barton, observers might remember, who took the lead role in skewering the hypocrisy of the cell-phone-waving VP of Adelson’s Las Vegas Sands Corp., Andy Abboud, when Abboud ventured to Washington himself to testify in support of last year’s initial RAWA push, which died during the lame-duck session. Barton made a point of showing how LV Sands accepts online bets throughout the state of Nevada, in stark contrast to the claims made by Adelson, Abboud and others. The appearance was damaging enough to Abboud’s reputation that it may have played a significant role in why Abboud wasn’t called to testify in the more recent RAWA hearing. It may be several more weeks before Barton decides to formally drop his bill. In the meantime, he’s likely working the hallways and searching for co-sponsors. Barton is not a voluminous submitter of House legislation; in the two-year 2013-14 113th Congress, he was the primary sponsor of only five bills, and has yet to submit one this year.